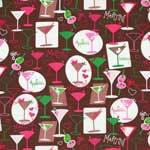 Hoffman California Fabrics has a passion for design. They employ a team of in-house textile artists to create fabric collections for the quilting enthusiasts, home sewers and manufacturers. Hoffman designs and produces more than 800 innovative screenprints and handmade batik fabrics each year.